Details and Specification of T62-LCC Load Controlled Dynamometer. 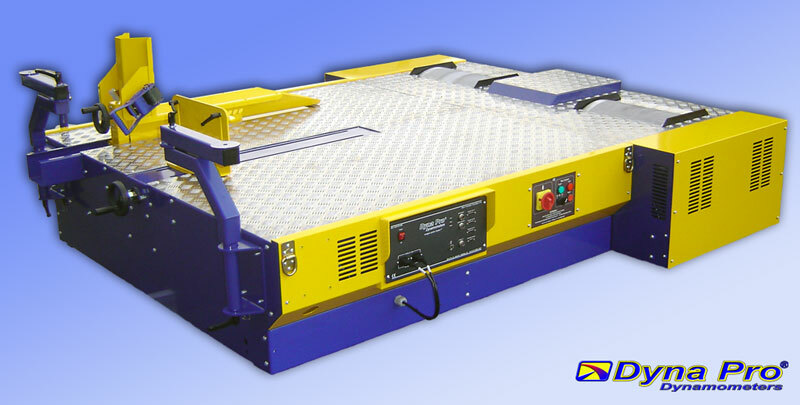 The Dyna Pro T62-LCC is a High Inertia Eddy-Brake Controlled Dynamometer for testing Motorcycles, Quads and Karts. The compact design ensures minimum space requirements and has been developed for the ‘Professional’ engine tuner, as well as retail shops and service centres. All Dyna Pro Dynamometers will provide consistent, repeatable results. 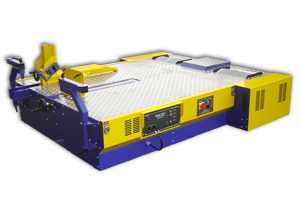 The T62-LCC Chassis Dynamometer, has been developed to enable the user to carry out a more complete range of tests. Full 'Closed Loop' control of the Eddy-Brake enables a vast range of tests to be made with the minimum of effort. Wind Drag, Sweep and Step Testing & constant loading are just some of the features of the Dyna Pro T62-LCC. With the LC Dynamometer, inertial acceleration testing can still be performed as with the standard S68 & S125 Inertia only Dyno’s.